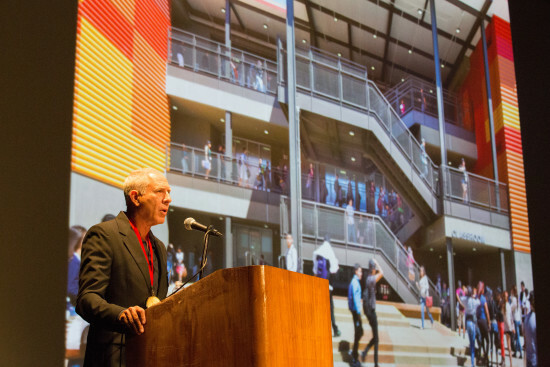 On October 29, Angelenos will gather for the 2015 AIA|LA Design Awards and Next LA Awards to toast the city’s best contributions to architecture and design. Every year the AIA|LA Board of Directors chooses outstanding and passionate individuals as winners of the Presidential Honoree program. AN spoke to Educator Award recipient Sarah Lorenzen. 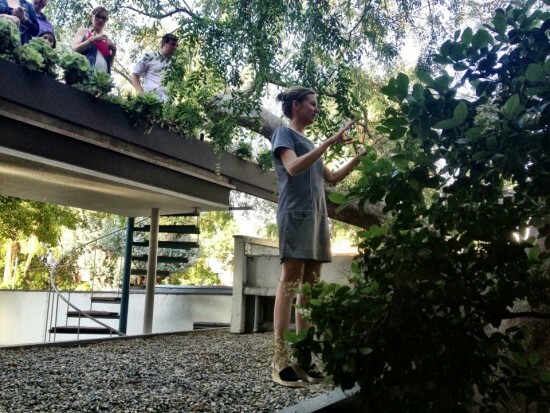 An architect, professor, and chair of Cal Poly Pomona's Department of Architecture, she reflected on the honor and shared her thoughts on the direction architectural education. The Architect's Newspaper: What does it mean to you to receive this recognition from your peers? Sarah Lorenzen: I was incredibly surprised and pleased to receive this award, especially given all the terrific architecture programs and talented faculty that reside here in Los Angeles. Even though the award is given to an individual, I see it as validation for the work being produced by the students and faculty at Cal Poly Pomona. Over the last few years we have revamped the program and made a concerted effort to showcase what we do well at our school. What have you taken from your experience and own architecture education and applied to your role as chair at Cal Poly Pomona? I had a varied education. My undergraduate degree focused on liberal studies and studio arts and I attended two different graduate programs: Georgia Tech in the mid 90s and SCI-Arc in 2003. The two programs had very different pedagogies and design interests based in part on their locations and in part on the times. My education at Georgia Tech was heavily influenced by poststructuralism, while at SCI-Arc it was all about the Information Age. During one of my final presentation Georgia Tech I remember clutching a copy of Roland Barthes’ Image, Music, Text… while at SCI-Arc Michael Speaks proclaimed, “Theory is dead. Long live architecture.” As someone that now heads an architecture program I embrace many points of view, but I try to steer clear of dogma and certainty in approach. I love a good argument and lean towards a Socratic method of teaching, but I am also keenly aware that as architects we need to take a position and be able to express that position in visual form. I would say that I am most interested in giving students a “professional” knowledge base while having them understand that this knowledge is culturally constructed and shaped by social and aesthetic biases. How do you see design education changing in the next 5, 10 years? It’s really hard to tell where we will be in 5–10 years. From the work being produced today at most architecture programs, at least here in Southern California, there seems to be a backlash against the all-digital, doom-and-gloom project. Students are digging up books that I haven’t looked at since my days at Georgia Tech. I have no objection to this renewed interest in postmodernism, as long as it is utilized as lens to investigate contemporary situations and not simply as a style to be appropriated. I am pleased to see a renewed interest in drawing in our program, especially when students take advantage of new digital tools to reimagine and reinterpret pre-digital drawing techniques. I imagine that it 5–10 years the realities of a world in crisis will hit our profession very hard. The situation to me looks pretty dire. I don’t expect that the primitive forms and My Little Pony–palette will be too long-lived. Which is too bad, the cynical side of me likes their ignorance is bliss attitude. How might design pedagogies adapt to or even lead technological advances in the field and respond to a changing urban landscape? In 1987 the Statistician George E. P. Box wrote that, "Essentially, all models are wrong, but some are useful." This statement certainly rings true when we see how data mining and Google Analytics now shape our understanding of the world. Technological advances of this sort are as significant to architecture as was Greg Lynn and Maya, or Frank Gehry and CATIA. Since the 1990s the use of computer-driven heuristic models has gained currency in a number of architectural schools and design firms, particularly as a means to address the changing urban landscape. Technological advances, such as those employed by data and analytics companies, offer the potential for architects to understand previously unimaginable relationships between social, environmental, and physical factors acting on a site. I well understand that there are no perfect models. For one thing the world is mutable, it will never reach a perfect balance. The models we use to represent the urban environment are, and always will be, approximations. Still, models can be helpful if we accept the fallacy of their construction. The heuristically derived models of the petabyte age can help us become aware of the problem of complexity, they can be highly creative endeavors that help us see the world in a new way, and they can help us find gaps in our knowledge about the urban environments we live and work in.